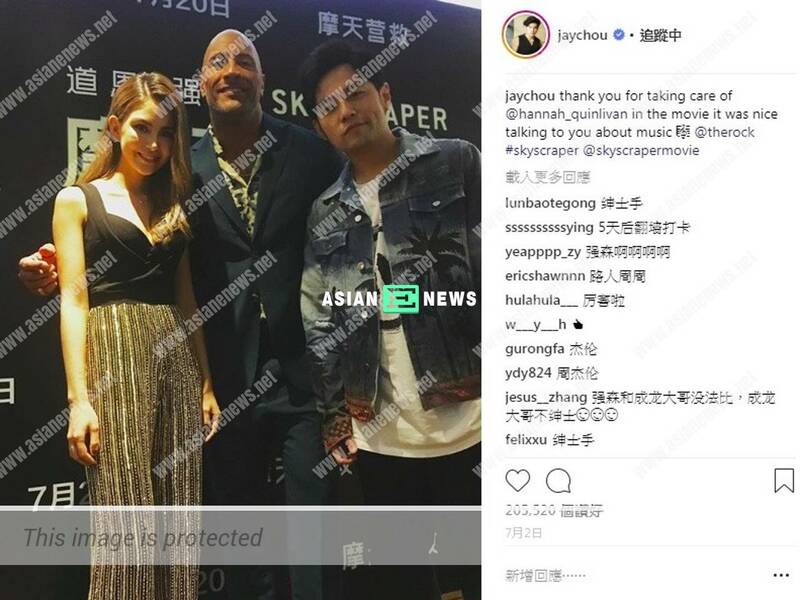 Taiwanese singer, Jay Chou’s (周杰倫) wife, Hannah Quinlivan (昆凌) has been promoting new Hollywood film, Skyscraper (高凶浩劫) all over the world lately. 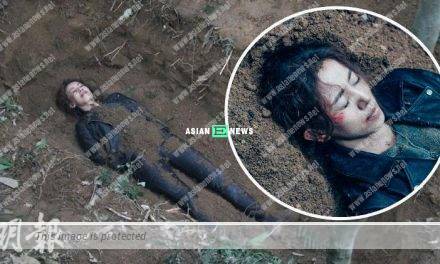 She acted as a killer with swift actions and her English language received compliments from the netizens. 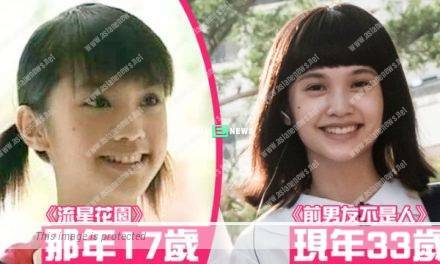 Apparently, it is not a surprise that Hannah looks beautiful and speaks fluent English as her father is an Australian and her mother is an Eurasian. 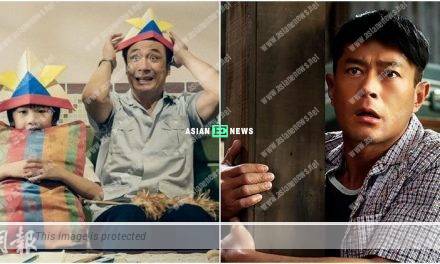 Although Hannah’s parent are divorced when she is 3 years old, but her father is a professor in a renowned university in Australia and her mother specially moves back to Taiwan to take care of Hannah despite working in Korea. Although Hannah does not enrol in an university, but she completes an acting course and pursues a course related to movie production in a school in New York. 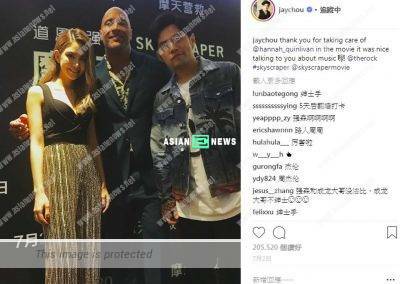 Since Hannah speaks fluent English, it is not surprising to see Jay expressing his gratitude towards Hollywood action star, Dwayne Johnson “The Rock” in English when accompanying his wife at the movie premiere. Anyway, it is expected to see Jay shows great improvements in English language.